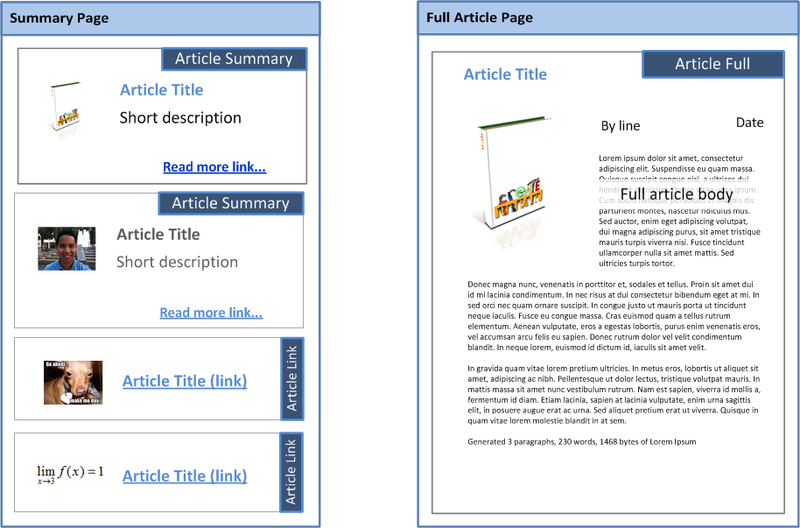 Learn how to better design SDL Tridion schemas and templates with a little Information Architecture (IA) page and content type analysis in this five-part series. Content Management System (CMS) consultants use Information Architecture (IA) to analyze your digital channel's content structure to define the content entry forms and templates. IA has the concept of content types, which are structured classifications of content such as article, image gallery, or recipe [see Dan Brown's excellent article (PDF) and another take by Steven Bradley]. SDL Tridion represents Content Types in the form of Component Presentations (CPs), which consist of the content (component) transformed by a template. Here's the basic approach you've seen in training, demos, or implementations. 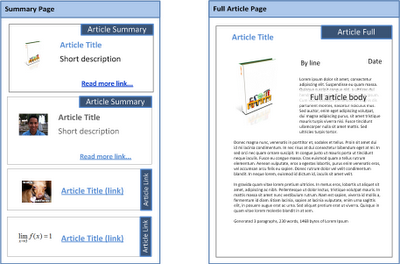 Given a summary page and a full article page, we identify Content Types. By finding shared content, we can then determine Tridion Schemas and Templates. One Tridion Schema, say "Article"
Three associated Templates, for example "Summary," "Full," and possibly "Link." You'll find this contrived, classic Summary and Full Article example insightful, boring, or peculiar depending on your background with various CMS's. You'll also get in trouble if you make assumptions and blindly apply the news publishing model to Retail or Marketing. Are you thinking one schema and two templates? 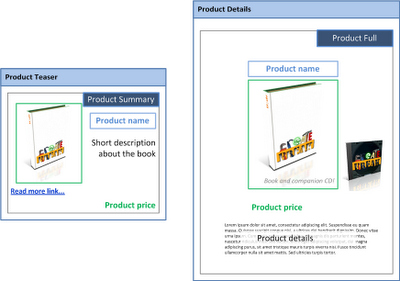 What about these seemingly related component presentations? *You might be wondering "what about dynamic component presentations?" I'm intentionally skipping other technical scenarios to focus on the Content Model for these posts.